Hector Garcia has over of thirty six years of experience in public accounting on a variety of engagements including tax, compilation & review of financial statements and consulting engagements. His business consultation experience include setup of accounting systems for closely held entities (non-public entity’s), assistance with write-up and payroll services, tax consulting & compliance services for, manufacturing, construction companies, not-for-profit organizations, legal and medical entities that operate as corporate (regular C-Corp. or Sub-S corporation), limited liability company (LLC), limited partnership (LLP) or as sole-proprietorship. As a bi-lingual public accountant, Hector provides professional services to foreign entrepreneurs who elect to do business in the State of Texas. Hector’s tax experience includes preparation of tax returns (individual, partnerships, corporate, fiduciary, estate, non-profit, limited liability company returns), representation of taxpayers in examination of tax returns and tax planning. He specializes in Federal and State tax compliancy and preparation of federal, state and local returns. Concentration in foreign entrepreneurs, Hector has numerous years of experience in consulting and tax return preparation for foreign entities who elect to conduct business under a U.S. corporate entity. Hector is an alumnus of the Kellogg School of Management in Northwestern University, Chicago, Ill. The advanced management education program sponsored by the National Minority Supplier Development Council (NMSDC) provided studies in access to capital, identifying innovative assets, entrepreneurial finance and managing strategic changes in the entrepreneurial world of business and cash flow managements. Hector served as an associate with the consulting team of US/Mexico Consulting Group, a firm that offer international business and public affairs services to entrepreneurs, foreign and domestic who would like to grow their businesses organically that allows for sustainability and high capacity within existing business models. The outcome from this service is the development of business affiliations and joint ventures that provide new venues of services and process with global entrepreneurs who are ready to do business in the U.S.
Hector serviced on the Board of Directors of Texas Public Radio (TPR) and currently the Treasurer of the board. The mission of TPR is provides news and views to the public without the interference of public and private sector involvement in the current radio airwaves. Hector also services on the Board of Directors of Project Quest, a workforce development program and participates on the finance committee as part of his duties within the non-profit organization. The mission of Project Quest is provide training and development of individuals skill sets required to succeed in targeted, high demand occupations. 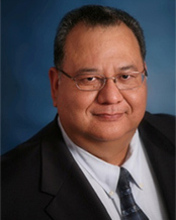 Hector was a board member of the Southwest Minority Supplier Development Council (SMSDC). This council is a subsidiary council of the NMSDC. The mission of SMSDC is to create an environment of the private sector, U.S. Corporate members, and Minority Business Entrepreneurs (MBEs) to meet and build positive business relationships, with the hope of leading to contractual opportunities, teaming, joint venturing, strategic alliance and economic growth. As an active board member, Hector is the past Chairman of the Minority Business Entrepreneur Input Committee (MBEIC). The MBEIC is a standing committee within the Board of Directors of SMSDC. The MBEIC is charge with implement board initiatives, engaging MBEs with Corporate Procurement representatives and process. And as chairman, Hector was charged with the responsibility of representing the MBE community at local and national events. Hector’s first language as he was growing up was Spanish. As a bilingual professional, Hector has serviced many non-English speaking clients with their businesses and on their behalf in front of the Internal Revenue Service.